Crete was under Turkish control from C17th. After a series of rebellions against Turkey, British, French, Italian and Russian troops were stationed on different zones on the island. 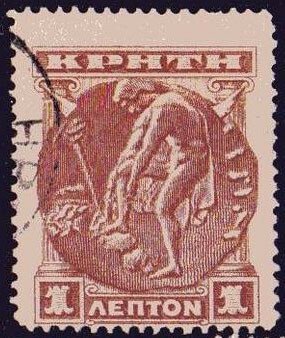 Specific stamps were issued for the British (Candia Province) and Russian (Rethymnon Province) zones in 1898 and 1899 respectively. 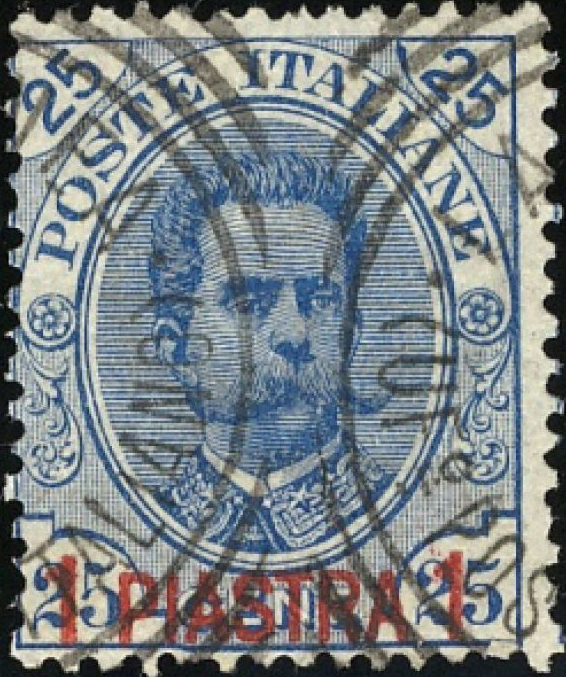 Stamps for the French post offices (listed by Scott under France) were not issued until 1902 and the Italian offices used overprinted Italian stamps from 1900. 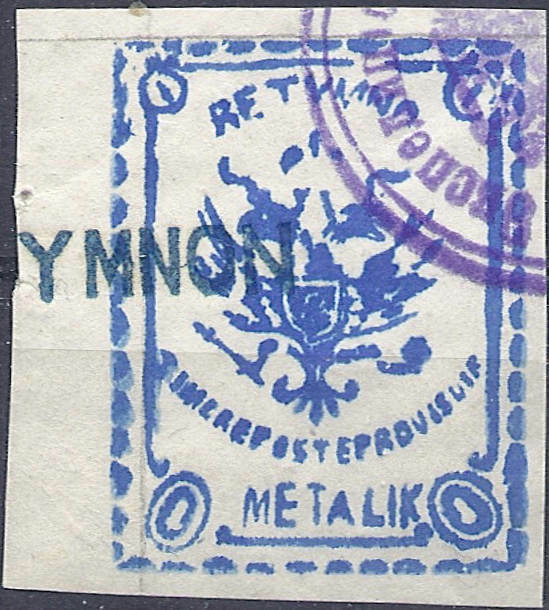 Austro-Hungarian offices were also in existance using their general issue for the Turkish Empire but those used in Crete are only identifiable by the postmark. † Listed in Scott as France, Offices in Crete. ‡ Listed in Scott as Italy, Offices in Crete, all of the stamps other than the #1, are overprinted "LA CANEA". Gibbons lists 1905 stamps for the Revolutionary Assembley but Scott states that these “were issued for sale to collectors and, so far as can be ascertained, were of no postal value whatever”. 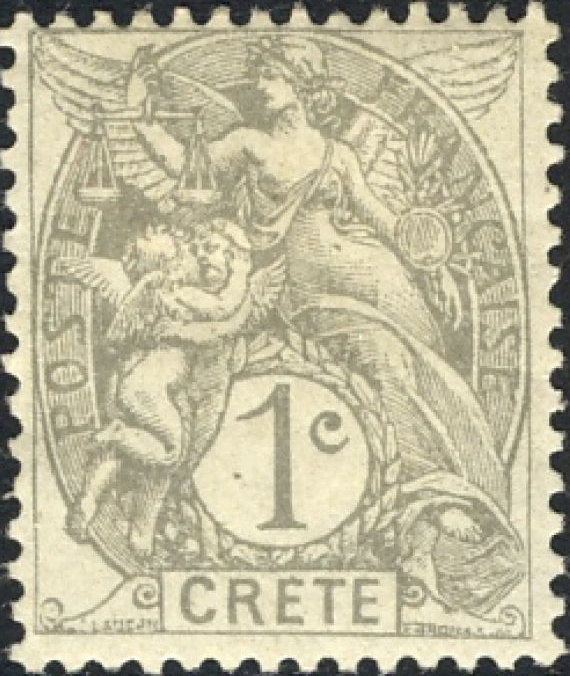 In 1908 the Cretan parliament announced union with Greece and in 1913, after the Balkan Wars, it became a Greek province and started to use Greek stamps. Images from Wikipedia, StampCommunity, Colnect, ebay.